If you didn’t watch 7th Season of Starseries that recently ended in China, you missed a lot. A big tournament with $500.000 prize pool, decent organization and top team playing – what could be better? Exactly, to see Astralis there, but we have what we have. Even without Astralis it was the first real top-tier-tournament in CS:GO after the Katowice Major and it has given us a lot of food for thought. We have compiled the most interesting moments along with a short analysis of the StarSeries i-League S7 for you. Berlin International Gaming is a very cool team under certain conditions. The team does not seem to understand what they want, and where to move further in terms of working with the players. Its problems are very deep. To understand what is happening now, let's go back to 7-8 months ago. In theory, it is a balanced team with a UK star in its roster. Smooya possesses an incredible level of potential and universal talent, but if we look back to early fall in his game in the BIG there already were doubts. Owen is an emotional (sometimes even toxic) and explosive player. He wins the love and hatred of the crowd, but did not fit into the Counter-Strike, which preaches the German team. BIG always tries to play cool, calm and disciplined. Along with this, the team introduces a variety of cool executes, uses ingame tricks and sometimes even bugs (remember the Krakow Major on Inferno, right?). In order for Smooya to show the highest level of performance, he must constantly raise himself and his teammates mentally - he is the ringleader. The calm and measured playstyle of BIG contributed to the fact that Smooya played unstable and faded, and then it progressed – because there was nothing to change globally. Okay, Owen's out of the squad. Nex and XANTARES have similar in-game roles and self-perception ingame. They are simply aggressive entry-fraggers with a similar style of performance. We cannot say that XANTARES is a very flexible player. As a result, both still feel at ease. Instead of looking for a competent German-speaking (or at least English-speaking) sniper, BIG has made an utterly ridiculous decision, and now they are suffering and burying themselves. We are waiting for changes in the line-up in the next couple of months. You know, watching Brazilians now is one of the most fun activities for a Counter-Strike fan. Even an April fools joke about fer leaving the team was taken seriously by many, because it would be in the spirit of the emotional guys from Made in Brazil. You stay in the top-3 of the world for three years, chilling most of this time in the first position of the HLTV rating. But suddenly you stop improving, working on your game and start moving by inertia. There are problems from scratch and even bigger problems where difficulties are supposed to be. Of course, you need to change something. Firstly, SK Gaming started to swap the Brazilian players. When it didn’t work out, they tried out a mixed international roster with Stewie2k and Tarik. Maybe the problem is within the organization? Well, SK Gaming moved under the wing of Immortals and changed the team tag to MIBR. Didn't help, here's the ambush. After that went back to basics – Stewie and Tarik's fused, scored Brazilians and closed it all on top of a smart (again, Brazilian) coach. But nothing changes globally. MIBR-SK have floated in its swamp since the end of 2017, and continues to swim in it. The team feels uncomfortable with all of its attempts to do something resulting in failure - MIBR remains unstable. After a good game in the Katowice Major, followed by a failure at the home tournament of BLAST, followed by an even bigger failure in Shanghai. Let's assume that MIBR had no game vs Panda Gaming. Well, they are not opponents even for tier-2 European-American teams, the Chinese did not win a single map, on average, ending the map with the score 7:16. So what’s left for Made in Brazil? Three absolutely deserved and hopeless losses to Renegades, and, oh, NRG and North. Whether to cry, laugh, or continue to wait for something ephemeral (read: good), Made in Brazil seems doomed. Since we mentioned NRG and North, we will pay special attention to them. How these two teams can, at the moment, be taken seriously is unclear. They have a reputation of unstable teams (from this point of view they are far far away from Na`Vi) and it can be corrected in one way – to show something at a distance. In this case, we are not talking about the distance of 3-4 months. At least a six-month period that including two Majors. That they are able to be better in a long term. Fnatic: was the run a fluke? Fnatic completely failed the Katowice Major. It is unlikely to become a serious moral challenge for experienced players but could hit the 16-year-old Brollan. In the match against Vitality Fnatic showed that they can crush even the strongest opponent. For two map Vitality was able to overcome only 18 rounds, and there was no doubt about the winner during the match. Then we saw a playoff: 2 decent games and totally failed final. And the question is: if Fnatic ended their successful run in such an important moment, what does it mean? We will hope for the best, but if we base on information we already have, it’s not a good sign. These three teams broke into the top of the competitive Counter-Strike during the Katowice Major and all of them have the potential to stay in the top for a long time. They all passed to play-off in Shanghai, and even not all of them fought well in the final stage, Ence, Renegades and Vitality are real power right now. It's even easier: in addition to the fact that the talented ZywOo plays in the team, it turned out that this squad is in principle good, ready to play and show results. I.e. ZywOo plays not variation 2-3 vs 7-8 players, but 5 vs 5. The team simply does not throw and occasionally play above a predictable average. That is what let them destroy most of the opponents. Na`Vi: the best… After Astralis? 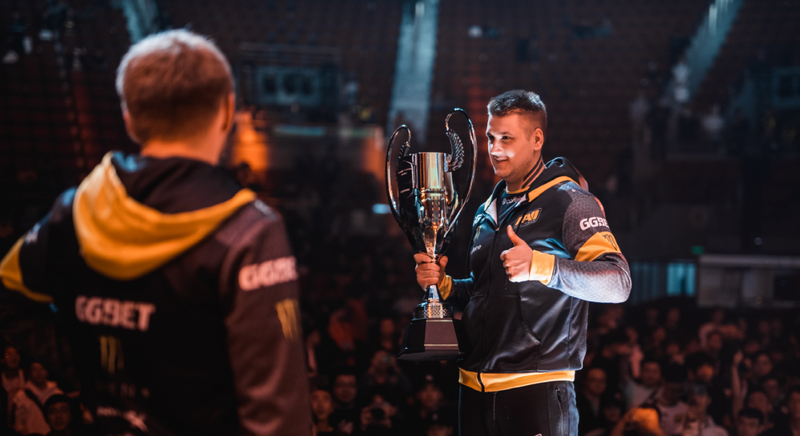 The most important thing in the absence of Astralis in Shanghai is that you can say: “Natus Vincere won the tournament, they are cool” – yes they are. But now let’s imagine what if Astralis were there? Nobody knows. But as we said, it doesn’t cancel the sick play of Natus Vincere. Firstly, let’s talk about the group stage. A conflict of Zeus and S1mple in the match against Ninjas in Pyjamas despite the fact that Na`Vi tore opponents on Nuke. In short – the atmosphere in the team is clearly tense, but now it happens in public, right during the match. Stupid lost Swedish forcebuy round instantly provoked the conflict between the world’s best player and the captain. The more interesting thing is that Na`Vi took out their anger on Ninjas in Pyjamas and left the Swedes no chance on the third map. Natus Vincere is a strong team and can be even much stronger. But on the other hand, there is a feeling that everyone in Natus Vincere is walking on very thin ice. If we talk about play-off, Na`Vi made a clear revenge defeating Ence, tough game versus Renegades and simply a sweep versus Fnatic in the final. Na`Vi has been resurrected for a while, but what will happen in future? Most importantly - what would happen if the final was versus Astralis?